Let Bloomex play Cupid this Valentine's Day! 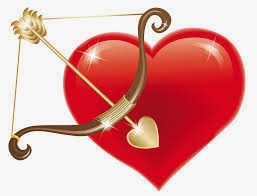 We'd like to give your romantic life an extra special boost this year with our Valentine's Day Cupid Contest. Is there a certain someone special that you want to romance with flowers? Maybe you are friends but you'd like things to blossom into a more romantic connection. Maybe you have just started dating and you'd like to show this person how serious you are becoming. Or maybe you barely know this person and really, really want a special way to meet them. Whatever your situation, share it with Bloomex and let us help! Send a short note to tell us about this special person and why you want to boost romance with flowers this Valentine's Day.The top 3 entries will win a gorgeous bouquet of a dozen roses to be delivered to your special someone with your personal message. What a fantastic way to make an GREAT impression and get love blooming! We can't wait to hear how it goes. 1. Send a short note to contest@bloomex.ca to tell us about your special someone and why you want to send them flowers. 2. Contest deadline is Friday February 6, 2015, 12 noon EST (Eastern Standard Time). **CONTEST DEADLINE EXTENDED TO MONDAY FEBRUARY 9, 2015 12 Noon EST!!! 3. Contest winners will be determined by a panel of Bloomex employees. 4. 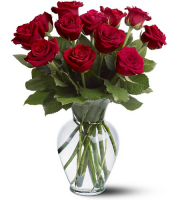 Top three entries will win each win a bouquet of one dozen gorgeous roses to be delivered to their person of choice. 5. By submitting you allow Bloomex to post your entry publicly on sites including but not limited to www.bloomex.ca, the Bloomex blog (bloomex.blogspot.ca), and Bloomex social media sites. AND don't forget to check out the Bloomex Cutest Couples photo contest for even more ways to win flowers this Valentine's Day!